You are currently browsing the tag archive for the ‘Luke Harlan’ tag. 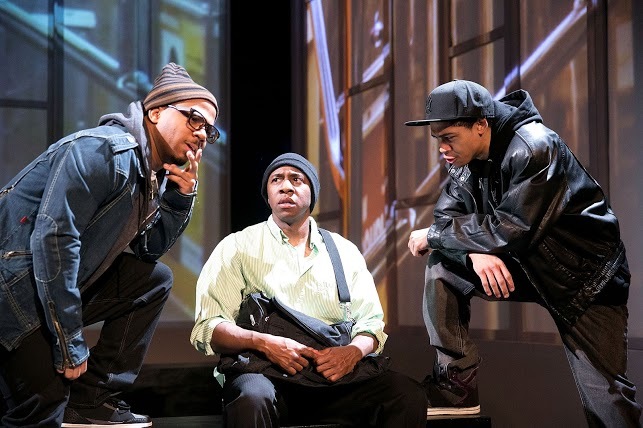 Honky, playing through April 7th at Urban Stages, asks whether any word can be as offensive to white people as the “N-word” is to black people, and the answer is, “the R-word.” No one who is under fifty and lives north of Maryland wants to be called a racist. For that matter, not many folks south of the Mason-Dixon line like being called racists anymore. But as Mr. Kalleres’s characters discover, just saying you’re not a racist doesn’t mean you aren’t one deep inside. Next door to Barberry on Metropolitan Avenue in Williamsburg is a red door, the kind that usually hides a garage or machine shop populated by illegals working eighteen hour shifts. 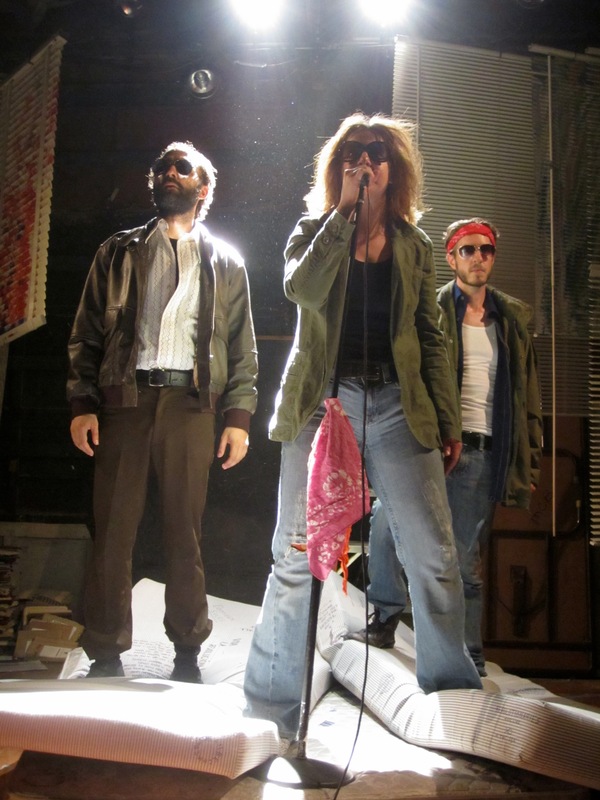 If once it locked up the hopes of the unfortunate, now it is home to The Assembly’s production of “Home/Sick,” a play the company wrote collectively about the Weather Underground, the Marxist revolutionary group who declared war against the United States in 1970s and early 80s. The former garage (or sweatshop, or whatever) opened its mysterious door soon thereafter. A nice fellow wearing mirrored sunglasses, a black suit, and an earpiece (obviously one of Hoover’s G-Men) offered me some refreshingly cold and free water. He told me to take a button sporting the slogan “Your Brain Is A Bomb.” I took my seat, wiped the perspiration from my brow, and settled back in my chair, ready to be entertained.